The #MoreBayless contest’s final winners are posted below, and your photos of the coconut bread pudding were so good we could practically taste them. Congratulations to the winners. The signed copies of “More Mexican Everyday” will be shipping out soon. For the rest of us, the book is on sale at your favorite book store, online retailer or right here at our website. Omg! I am very exited about winning the book. Thank you so much for picking my picture! 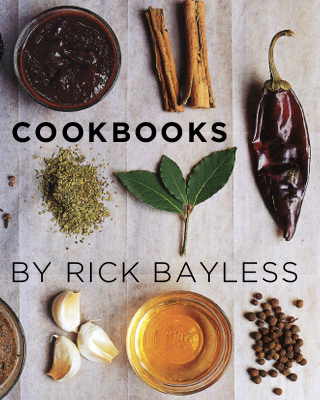 I am a fan of the Chef Rick Byless. When I move to the U.S. From Oaxaca he and his show made me feel more like home. I am very thankful to him for loving Mexican food with that much passion. How can I give my address for the shipping? Thanks again! Mr Rick Bayless is awesome !! !